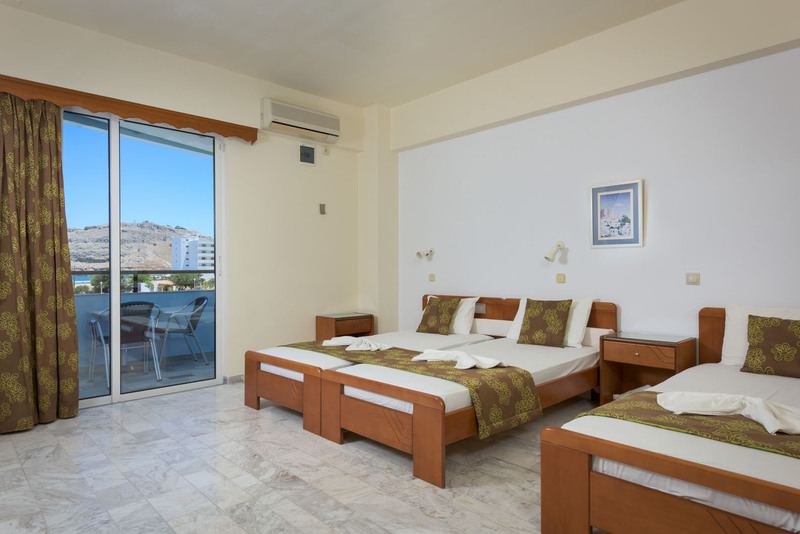 Each Double Room has a balcony with sea or garden view, these rooms include a kitchenette with fridge and satellite TV. Please note that the view is subject to availability. Please note that this room type can accommodate 1 extra bed. 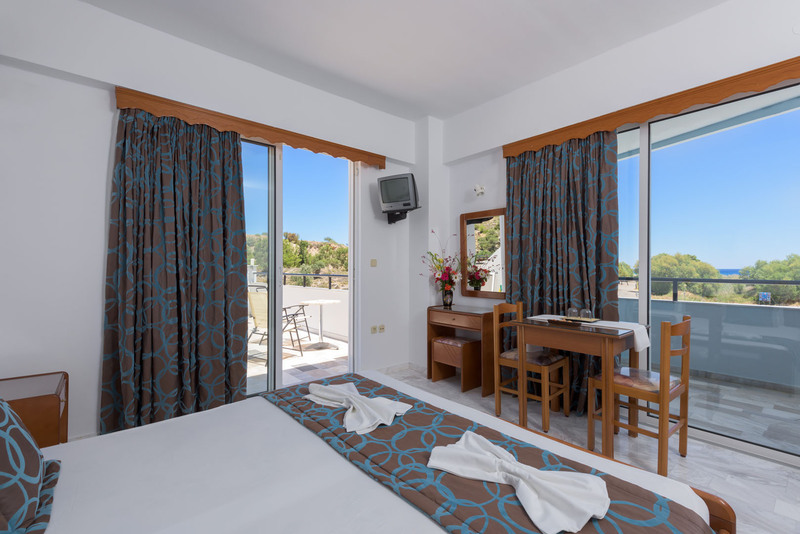 Each Triple Room has a balcony with sea or garden view, these rooms include a kitchenette with fridge and satellite TV. Please note that the view is subject to availability. Each Apartment has a balcony with sea or garden view, these rooms include a kitchenette with fridge and satellite TV.Please note that the second bedroom is located on an attic and is accessible by stairs. Also keep in mind that the view is subject to availability. This unique apartment features aircondioning, stovetop and electric kettle. Please note that this room type can accomodate two extra beds.